There are some things that go perfectly with cannabis, like pairing wine with foods, pairing cannabis with the right activities will create a simply heavenly experience. There are so many things that are greater with cannabis and to each her/his own. We all have our preferences but there are tried and true things that pair beautifully with cannabis. However you like your bath, sinking into the warm tub when it’s full or letting the water slowly rise over you as the tub fills, either way a bath is one of the greatest ways to enjoy the feeling of cannabis, especially combined with a lovely smelling cannabis infused bath oil (coming in late 2019). 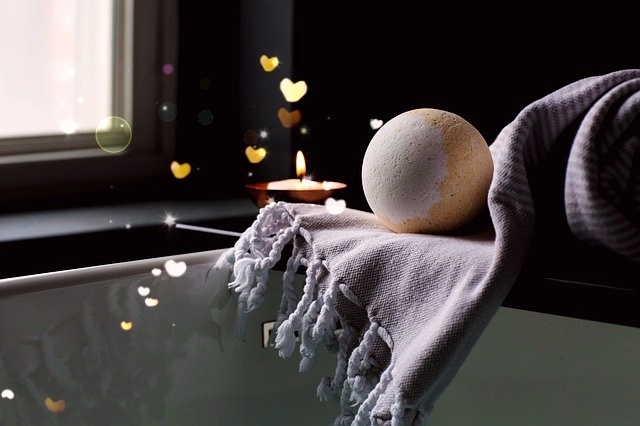 Baths also help to relax muscles and cannabis is well known for it’s pain relieving properties so your achy joints will thank you for this wonderful, healing experience. Whether it’s at a concert or listening to headphones in the comfort of your own home, listening to music while on cannabis allows you to fully experience the entire song; you’ll notice every instrument and every inflection. Same goes for the cinema, dive into the action and notice every detail with cannabis. Cannabis not only heightens your senses, it helps you focus which makes these activities the perfect things to go with a little THC. You know the running joke, in places where cannabis consumption is high the snack food aisle is empty. Food tastes simply divine on cannabis, so the next time you’re about to enjoy good food, take some cannabis and experience every burst of delicious flavour. Now combine all three! Eat a delicious meal, then take a lovely bath and nuzzle in with a good film and snacks and just feel goodness of cannabis.